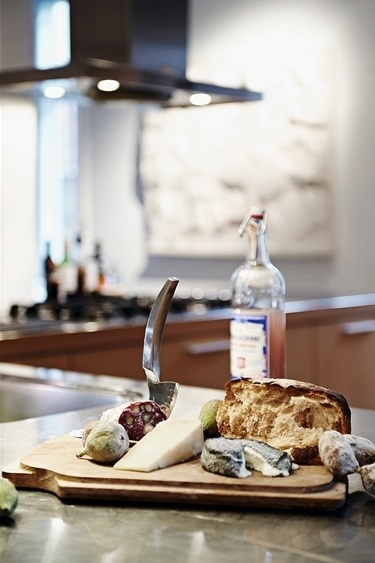 This is the home of Swedish fashion designer Naja Munthe. Again, the simplicity of the furnishings and colour palette are perfect. Some things that really jump out at me as great ideas are the low hanging pendant lights over the coffee table as well as the glass panelled windows that create the entry into the dining room! 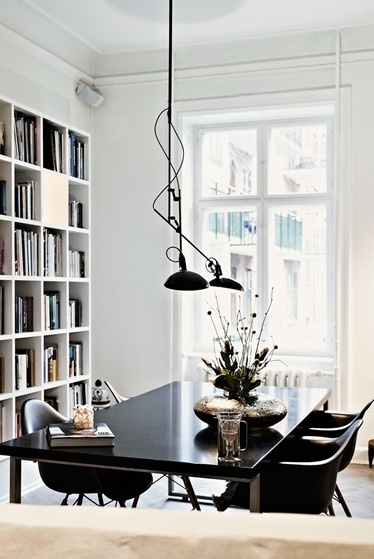 Stunning...I also love the wall of books in the dining room. Very original home.